The aural editing system W2340 is designed by the RS-Laboratory to process audio material in stereo and M/S mastering environments. 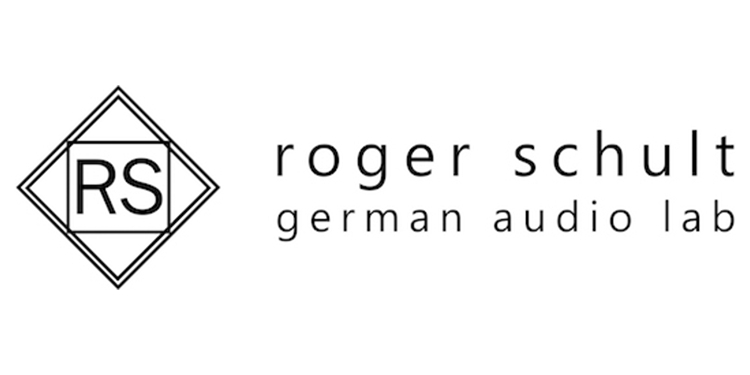 The system offers the possibility of editing the mid and the side signal separately via two fully integrated parametric equalizers. The filter frequency, the gain and the Q factor can be controlled precisely with the dedicated knobs for each parameter.Thereby different resolutions of the filter frequency in both channels ensure an optimal adjustment for the use in the side and the mid channel. Both channels of the matrix are provided with an illuminated switch to bypass the editing of each channel, which allows an instant comparison between the processed and the original signal. The SEISMO filter eliminates with 36dB/octave at 30Hz or 36Hz interfering infrasonic noise in the mid channel. 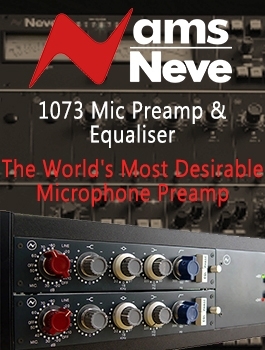 This features a cleaner and punchy sound of the lower frequencies and expands the headroom of the whole signal. The continous Stereo Width potentiometer controls the width of the side channel from mono to a factor of two. This setting can be used for a compensation of a mistaken stereo basis. The W2340 comes with a dedicated solo button for the side and the mid channel, a mono switch to check the mono compatibility and two buttons, which allow to change both channels of the side signal or to switch the phase. With 21 colored LEDs the integrated correlation meter informs about the correct phase of the signal. One of the most innovative features of the W2340 is the insert on both channels. 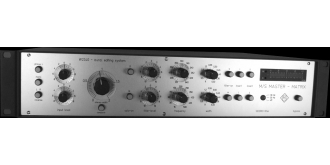 With the insert chain other signal processors like compressors, limiters an EQs can be integrated to both channels of the aural editing system. Both effect inserts can be bypassed with an illuminated pushbutton switch. The user interfaceAll pushbutton switches are illuminated if they are activated. That offers a reliabale visual control of all settings of the unit. 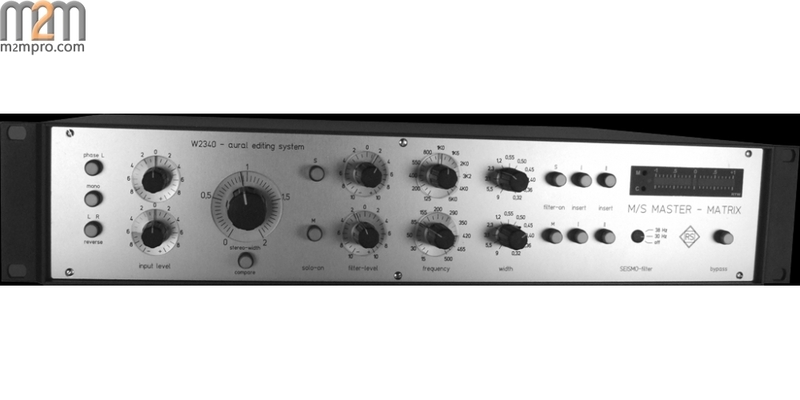 The fixed resolution of the EQ and Input knobs offer the possibility of a complete reproduction of all settings, which determines the W2340 an ideal tool for ambitious mastering jobs.